The month of November must have been the month when all Presbyterians went on Sabbatical! We have never had so many dates when this writer has been forced to say that little or no significant dates of Presbyterian history have been found. But December will be better for Presbyterian dates. For now, on November 30, we go to two questions and answers from the Larger Catechism, and together these will end our extended study on the Sacraments of Baptism and the Lord’s Supper. WLC 173 — “May any who profess the faith, and desire to come to the Lord’s supper, be kept from it? This nineteenth century missionary couple has been mentioned before in these pages in connection with Marcus Whitman on February 29 and August 18. They were Henry Harmon Spalding and his wife Eliza Hart Spalding. There were a number of “firsts” connected with both of them. Along with Mrs. Marcus Whitman, they were the first white women to travel on the Oregon Trail. Indeed, they were part of the first wagon train to travel on that famous trail. In the case of Henry and Eliza, theirs was the first white home in what is now Idaho. They brought the first printing press to the Northwest. But our interest in them was of far more importance than simply their being the “first” this or “first” that. They had a heart for the Nez Perce Indian people and their eternal souls. So after a very long and difficult trip by steamer, horse back, and wagon train, Henry and Eliza arrived at their place of work, settling in a house which they built, on November 29, 1836. Henry Spalding had unusual success in reaching this Indian tribe. He was able to give them a written script of their language, which enabled him to teach their tribal members. Spalding then translated parts of the Bible, including the entire gospel of Matthew. Leaders of the tribe were baptized, including the father of Chief Joseph, the brilliant military leader of the Nez Perce. When the Whitmans and twelve of their followers were massacred in 1847, Henry was at that time on his way to meet them. He narrowly escaped in the five days journey back to his home, and eventually took his wife to Oregon City, Oregon to wait for the situation to simmer down. The Board of Missions which had sponsored them, however, decided to abandon the Mission Station. Eliza would never see the region of the Nez Perce again, except after her death. Sixty years after her death, her body was interred on their land again beside that of her husband. Henry had ministered in various areas in the “civilized” northwest as a pastor and a commissioner of schools in what later became Oregon, until finally in 1859, he returned with delight back to his beloved Nez Perce. He would stay only a few years before difficulties arrived, and he died in 1874. He was buried on their land. Words to live by: To go into uncharted territory with the Gospel is a worthy goal and takes an unusual kind of Christian. Henry Spalding was just such an individual. He knew his calling and wanted to waste no time in fulfilling it. And fulfill it he did. Along with the Gospel, caring for the souls of the Nez Perce, this missionary couple taught the tribe irrigation laws and the cultivation of the . . . potato! The next time you go to the store and buy some Idaho potatoes, think of Presbyterian missionary Henry Spalding! WLC 172 — “May one who doubts of his being in Christ, or of his due preparation, come to the Lord’s Supper? There are to be spiritual benefits as a result of your participation in the Lord’s Supper. That is what is meant by the phrase “quickening and comfort” in the answer. If you find them in spiritual lives, then bless God for them. He is the Author of them. Beg that the Holy Spirit continue them in your spiritual life. The Psalmist David prayed in Psalm 36:10 “O continue thy lovingkindness unto them that know thee. . . .” (KJV) Watching against relapses is a major concern. Paul stated “Therefore let anyone who thinks that he stands take heed lest he fall.” (1 Corinthians 10:12 ESV) What promises did you make to your God and to God’s people in your last participation? Pay them, or fulfil them is necessary. We put off too many of God’s commands. And last, be sure to be present and accounted for the next time the Lord’s Supper is planned in your congregation. But what if you can, upon searching your own heart and life, find no present spiritual benefits, what then? After reviewing both your preparation for and participating in the Sacrament (see L.C. 171 and 174), and you find that you can approve yourselves before God and your own conscience, then be patient and wait for it in due time. He will bless it eventually. But if you find out that you were careless in either the preparation or the participating, then be humbled and attend to the next observance with more care and diligence. In other words, if Jesus has not returned the second time to this earth, let’s do it right and proper in the eyes of the Lord Jesus, the One we love and serve. Words to live by: There is to be a place for self-examination in the life of the Christian. We use to hear of a phrase which spoke of “a mountain-top experience.” It usually spoke of a special time of communing with God and those of like precious faith at a Bible conference or Men’s or Women’s week or weekend retreat. They have their place in the life of the Christian and Christian church. But in one sense, if Larger Catechisms 171, 174, and 175 were faithfully adhered to and followed by the individual Christian, or church, the “mountain-top experience” would be found in our respective homes and churches. Forget about revival week! Each month or quarter observance of the Lord’s Supper would be a revival day or month or quarter in our congregations and denomination. The Holy Spirit could yet bring a revival upon our respective churches. Oh Lord, begin such a revival, and Lord, begin it in me. WSC 97 — “What is required to the worthy receiving to the Lord’s supper? It was back on November 14 that the duties prior to the serving of Communion were laid down for our readers in Larger Catechism 171. Now we arrive at the duties of Communion while the Supper is being served, taken from Larger Catechism 174. We are, as our title puts it, “to wait unto God with all holy reverence and attention.” In one sense, this is to be our attitude and action with respect to the worship service itself. This writer could speak and write volumes about some people who do anything and everything but worship the Lord during the church. Generally speaking, American Christians have lost the sacredness of worshiping the holy God. But this reverent and attentive waiting upon God should especially be true of us during this ordinance which particularly takes us back to our Savior’s atonement on our behalf. An undivided focus is absolutely necessary, especially if we follow the requirements enunciated in this catechetical answer. First, we are to “diligently to observe the sacramental elements and actions.” Outwardly, those elements are “bread and wine,” but spiritually, they are our Lord’s body and blood. Do we “discern the Lord’s body?” in this sense, or do we just see them as bread and juice? Obviously, there is required some doctrinal knowledge of this sacrament, and a historical understanding of what took place at the first observance of the sacrament. An earnest listening to the reading of 1 Corinthians 11:23 – 34 is called for by the participant. The sacramental “actions” are also to be observed closely. There is so much ignorance of this in our congregations. First, the Savior took the elements from the table. This signifies Christ taking a human nature (body and soul) unto Himself when He was born in Bethlehem. Then, Jesus put His blessing on the elements, giving thanks for them, and setting them apart from their ordinary usage to a special religion usage. Our Savior Himself was set apart for His special work as the Redeemer of God’s elect. Next, He broke the bread, an action signifying His body broken on the cross for us. Fourth, He gave the elements to the apostles, signifying the gift of Christ to sinners by God’s infinite grace. The next action was by the communicants, as they received the elements, as sinners receive Christ as Savior by grace alone through faith alone. And last, communicants eat the bread and juice, signifying our dependence on Christ for spiritual life and growth. All these are the needed observation of the sacramental actions, which you and I must observe. The rest of the answer speaks of our spiritual attitudes and actions at the communion table. We are to judge ourselves, sorrowing for our sins. There must be an intense desire for fellowship with our Savior. What about an attitude of dependence upon Him, not just in our salvation, but also in our sanctification? All this is found in “feeding on him by faith, receiving of his fulness, trusting in her merits, rejoicing in his love, giving thanks for his grace.” And last, but not least, the true nature of the sacrament, which is a military term speaking of loyalty and obedience and faithfulness to our commander, is necessary. To the captain of our salvation, we renew our covenant to belong to Him, and mutual love to our brothers and sisters in Christ. Words to live by: The next time you observe the Lord’s Supper in your congregation, take this catechism either with you, or remember its attitudes and actions. It is your duty during the administration the occasion of the Lord’s Supper. Let it be then a revival of your soul in your renewed love for the Lord Jesus Christ, who loved you and gave Himself for you. Through the Standards: Manner of partaking the Lord’s Supper. WLC 170 — “How do they that worthily communicate in the Lord’s Supper feed upon the body and blood of Christ therein? Have You Cashed In Your Baptism? “One must not trust in baptism. One must not trust in anything that he has done or in any works of man, but only in Jesus who died for us. Baptism is a sign that God offers us a Savior and promised to cleanse us if we believe in Him, if we stop trusting in anything in ourselves — even in our baptism — and put all our trust in Jesus alone. Then we will be cleansed from sin. But until we come to that point of renouncing all self-trust and put our trust in Jesus alone, then our baptism is sign of our condemnation. Words to live by: The pastor of this sermon asks a serious question to those who have been baptized in their infancy by godly parents. When are you, the adult now, going to claim the promise signified by your outward baptism? You are baptized for sure. You may even have the baptismal certificate signed by the preacher and any witnesses who were there to see it. But unless you have put your personal faith and trust in Jesus Christ as Lord and Savior, that baptism is a sign of your condemnation, not a sign of the covenant. Reader, how is it with you? Have you received the gift of eternal life? It was back on November 20th that this historical devotional began to look at what the Larger Catechism states about partaking of the Lord’s Supper. We continue with that theme on this day, November 25, finding no specific Presbyterian topic for our consideration. What is involved in excluding some people from the Lord’s Supper. It is clear that this catechism answer speaks of some “who are found to be ignorant or scandalous” being excluded from the participation in the Lord’s Supper. On their part, they have a profession of faith and an equal desire to partake of the elements of bread and wine in the Lord’s Supper. And so many might think that the issue is settled. They believe and they have the desire to participate. Isn’t that enough? Our Confessional fathers answer that it is not enough of a reason to participate in this Sacrament. First, there may be by these ready participants an “ignorance” about their profession of faith. This ignorance may be the result of simply an absence of what biblical Christianity is, or on the other end, they might believe and accept some theological errors regarding biblical Christianity. Both of these constitute a reason to exclude them from the Sacrament when it is offered by the church. Then there is another exclusion, and it is with respect to a “scandalous” manner of life. The profession might be present, but the possession of faith is doubtful due to a carnal or fleshly lifestyle. The individual is openly carrying on a conduct which violates the Ten Commandments, for example. Such an individual shows that he or she does not understand the work of sanctification in the Christian life. 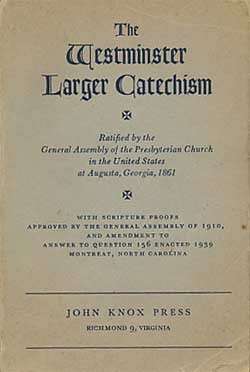 This catechism holds out the remedy to any who might be precluded, namely, “until they receive instruction, and manifest their reformation.” There is a place, and it usually is found in the membership class held to any who wish to join the church, for “instruction” with respect to both faith and life as seen in the Bible. When reformation is manifested after instruction is given with respect to their manner of lives, (and it may have to happen for a definition or indefinite period of time,) then the door will be opened to participate in the Lord’s Supper. Words to live by: In the early part of our country’s history, in Presbyterian circles, this was the task of the pastor, and Session of Elders, if there were any, to examine the participants as to their faith and life. Finding an understanding of the things which were of God, and hearing about their conduct, they then gave each potential participant a metal token, which was then turned in on the day of Communion. That practice has gone away and it is then dependent upon the discernment of the Session of Elders that they have a spiritual understanding of the members under their shepherding care in determining their qualifications to partake of the break and wine. Pray for your elders—teaching and ruling elders—in this important ministry. It was back on June 23 that we profiled the provision of psalm books as wadding for the American Revolutionary forces at the Battle of Springfield, New Jersey. The cry of “Give them Watts, boys, give them Watts,” referring to Isaac Watts’ many hymns, became a celebrated phrase from the Revolutionary War. He was born in Virginia from the well-known Scot or Ulster-Irish heritage of many Presbyterian patriots. Graduating from the College of New Jersey in 1759, he was ordained by the Presbytery of New Brunswick in 1761, and no doubt, installed as pastor of the First Presbyterian Church of Elizabethtown, New Jersey (now called Elisabeth). Because his conviction for the American cause were so well-known, the British burned both the congregation and his house at least once. His wife was either accidentally or purposely killed by a British soldier who fired on her figure through a window or a wall, as she was praying for her children. A year later, Rev. Caldwell was picking up a traveler in his buggy. After carrying the baggage to the horse-drawn buggy, he went back to pick up a package. An American sentry ordered him to stop but distance precluded the command from being heard. With that, the sentry fired and killed Rev. Caldwell on November 24, 1781. At the trial and subsequent hanging of the sentry, there were rumors that he had been bribed by the British to kill the soldier parson. At any rate, he was buried beside his wife in the cemetery of the First Presbyterian Church of Elizabethtown, New Jersey. A monument was placed up honoring him in 1846. Three towns in New Jersey are named after him, including an educational facility. Words to live by: While the Rev. James Caldwell did not physically pick up a rifle and fire it at advancing British troops, the “soldier parson” did preach the necessity of armed revolution as well as provide supplies for the Jersey brigade. He is looked upon as a defender of liberty as well as preaching the words of grace to a lost people. He wasn’t the first Christian minister to embrace liberty and justice for God’s people, and he won’t be the last minister to do so. There is a place for ministers of the Word to apply that Word of God to the social and moral issues of the day. Our people need guidance to do the right thing in the right way. This day marks the 440th anniversary of the death of the Scottish Reformer, John Knox. One would need a firm grip on God’s sovereignty to live and minister in the early days of our country. It was true that countless Scot-Irish families resided throughout the regions of colonial America. But it was also true that whereas there were many members of the Presbyterian faith, under-shepherds to care for them were few indeed. So when a colony of Presbyterians found a pastor, he usually stayed a long time. Such was the case for the Rev. Adam Boyd. Born in Ballymoney, Ireland in 1692, he moved first to New England in either 1722 or 1723. Recommended by the venerable Cotton Mather, he was called by the Scots-Irish people at Octoraro and Pequea, Pennsylvania churches. Ordained to the gospel ministry on October 13th, he began his ministry to the people of this new colony. It was an extensive field of labor, to which by foot and horseback, he visited the people faithfully as he cared for the spiritual needs. A week after his ordination, at the age of thirty-two, he married Jane Craighead, the daughter of their first pastor, Rev. Alexander Craighead. From their marriage, ten children—five sons and five daughters—were born. In 1741, a schism occurred in the infant Presbyterian Church, between what became known as the New Side and Old Side Presbyterians. Rev. 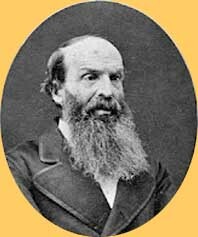 Boyd stayed with the Old Side Presbyterians, even though many of his congregation favored the revivalist approach of the New Side branch. Eventually, a fair number left his ministry and began a New Side Presbyterian congregation in New Brunswick, New Jersey. He was forced to leave the remnant which was left and minister to the Brandywine Presbyterian Church, which was Old Side Presbyterian. When differences were finally mended and Old Side and New Side reunited in 1758, the two branches of the Octorora church came back together and were one church again. Even though he was Old Side Presbyterian, it was said that he in his forty-four years started 16 daughter and “granddaughter” churches. Here was an Old Side ministerial member who defied the typical Old Side opposition to planting new churches. Rev. Boyd would go to be with the Lord on November 23, 1768, at 76 years of age. View a photograph of Rev. Boyd’s gravesite, here. Words to live by: It is easy to put men and movements into nice neat little pockets. You know, all the New Side Presbyterians of that sad schism in the American Presbyterian church were gifted in evangelism and revival (and they were! ), while the Old Side Presbyterians were settled in a rut of education prowess from the mother country. Adam Boyd breaks the appearance, as he planted a dozen plus congregations in his forty-four year ministry. Jesus said in John 7:24, “Do not judge by appearances, but judge with righteous judgment.” What seems to be so, may not be so. Be careful. WLC 169 — “How has Christ appointed bread and wine to be given and received in the sacrament of the Lord’s Supper? 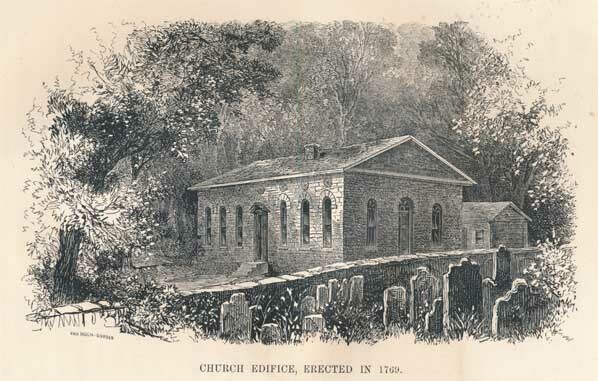 Image source: Engraved picture of the 1769 edifice of the Upper Octorara church, facing page 67 in Historical Discourse delivered on the occasion of the One Hundred and Fiftieth Anniversary of the Upper Octorara Presbyterian Church, Chester County, Pennsylvania, September 14, 1870, by J. Smith Futhey, Esq. Philadelphia: Henry B. Ashmead, 1870. This volume, in poor condition, is preserved as part of the R. Laird Harris Manuscript Collection, Box 444, file 13. Scan prepared by PCA Historical Center staff. To George Whitefield, a spiritual battle was commencing between the angel Michael and the devil himself as a result of these Log College graduates going out into the world. Yet the great revivalist was confidant that God would prevail in the coming struggle. Words to live by: There is no doubt that this tiny theological school had a spiritual influence far beyond its size in the infant Presbyterian church. Let us learn never to judge any Christian work from the numbers which attend it. Every large church today began as a smaller congregation, sometimes but a handful of committed Christians. The more important question is, is the whole counsel of God being taught and believed and followed? If it is, then that is the church to which you need to commit your soul and body, to say nothing of your spiritual gifts and your time. 1. Engraved portrait of George Whitefield, from The General Assembly’s Missionary Magazine: or Evangelical Intelligencer: For 1806. William P. Farrand, Editor. Vol. II. Philadelphia: Printed for, and Published by, William P. Farrand, No. 170, Market Street. Fry and Kammerer, Printers. 1806. 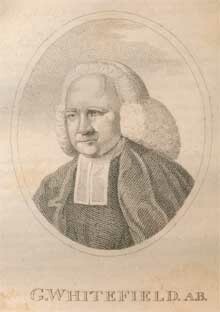 Portrait of Whitefield facing page . 2. 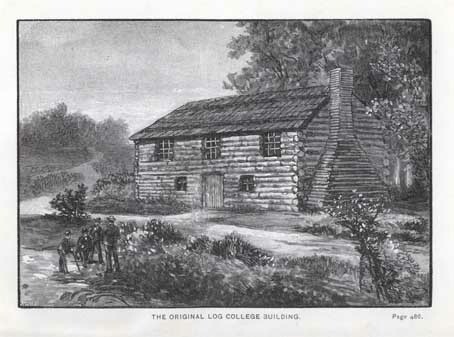 Frontispiece portrait from The Presbytery of the Log College, by Thomas Murphy. Philadelphia: Presbyterian Board of Publication and Sabbath-school Work, 1889. Scans prepared by the staff of the PCA Historical Center. It was in uncivilized territory where the Rev. 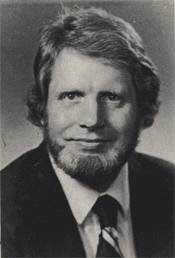 Robert Cooper took his first pastorate in central Pennsylvania. Born in Northern Ireland in 1732, the young man stayed there for the first nine years of his life. When his father died, young Robert accompanied his widowed mother in 1741 to the American colonies across the Atlantic. Following so many of their Scot-Irish race, he studied at the College of New Jersey, now Princeton University, graduating there in 1763. As was common practice in that era, Robert prepared for the ministry by studying theology with a private tutor, and he was ordained to the gospel ministry on November 21, 1765. Within that same year, he was called to Middle Springs Presbyterian Church, just north of Shippensburg, Pennsylvania. He was to remain there for thirty-one years, finally leavening in 1797 due to declining health. Worship in pre-Revolutionary times was a challenge, due to the presence of hostile native American in their region. The usual items brought to a worship service were a Bible (the Genevan edition, with Calvinistic footnotes), a hymn book (a Psalter for unaccompanied singing of psalms), and a rifle, with ammunition readily available. Their defensive armament would then be stashed at the entrance of the church whenever they would attend church services. Dr. Cooper remained at Middle Springs for three decades plus. He was a scholar of considerable merit. He had served later on for a brief time in the Revolutionary Army. His interests were of wider influence than the local scene, for he had helped to plan for the first General Assembly of the Presbyterian Church in 1789, at which he was a voting delegate. He wrote a tract entitled “The Signs of the Times” as well as written messages delivered to the American troops of the Revolutionary Army. He went to be with the Lord on April 5, 1805. Words to live by: If you remember that the Scots-Irish Presbyterians initially settled in Cumberland County of Pennsylvania, and then after about thirty years began to migrate west and south, we will have a real appreciation for the Rev. Robert Cooper. He no doubt influenced the evangelistic and revival traditions of the Scots-Irish Presbyterians in America. With the danger of Indian attacks ever present as they walked to and from church, or upon their homes while they were away at church, it took real courage to be a Reformed Christian in those days. Increasingly we have our own challenges to faith and life today. Then as now, a firm resolve based upon God’s sure care for each of His children, is necessary in standing for faith and righteousness.